As nice as it is to feel the luxury of buying expensive makeup brands, my heart will always have a soft spot for the cheaper, humbler counterparts of the makeup world. Afterall, these cheaper brands are what first opened the doors to my obsession with makeup and without them, I probably wouldn't have had such a passion for what I do. Whilst the cheaper price does show with some makeup products (foundation, predominantly) I believe that you can find some really great products that don't break the bank. One of the brands I've always liked, ever since rummaging through the shelves of my local cheapy-shop to find it, has been Gallery. I should say the first lipstick I ever bought was from this brand, and so a few weeks ago I decided to go back down memory lane and revisit those very shelves, to see what products they had in store for me years later. 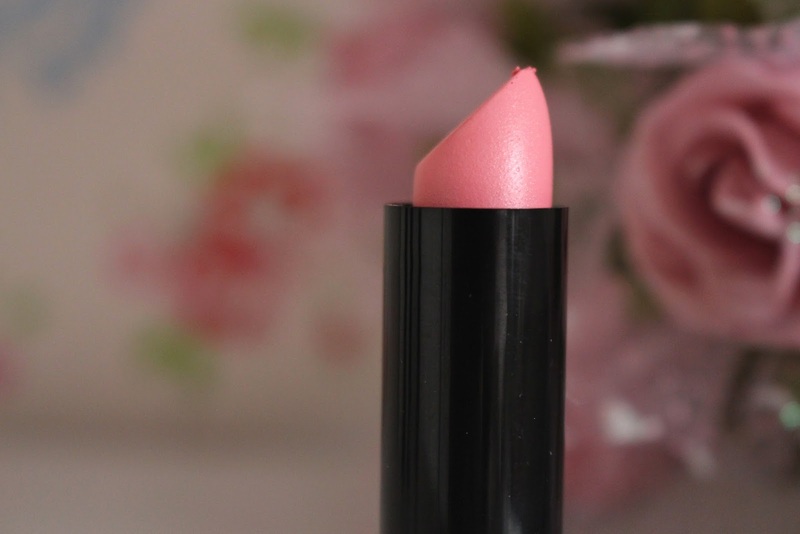 If you're an avid reader of my blog you'll know I discovered a dupe for a favourite YSL lippy of mine thanks to Gallery (more info here), so I had high hopes I'd find some more gems. I wasn't disappointed. First up, Shocker. I was drawn to this colour immediately as it is unlike anything I own and I was really intrigued by the slight shimmer running through it. It's a gorgeous raspberry red that, thanks to the subtle shimmer, has a beautiful finish. It's extremely pigmented and I have a feeling it will look incredible on a pale porcelain skin tone. Did somebody say Barbie? Sugar Candy is most definitely the Saint Germain of the cheaper makeup world. Again, rich in colour and totally pigmented, this is a candyfloss shade that definitely isn't for the faint-hearted. It's a total Barbie/Nicki Minaj colour that won't be everyone's cup of tea, but it's definitely mine. Paris Pink is probably the closest you're going to get to anything neutral from these Gallery babies I picked up, and it is a peachy pink shade that for some reason doesn't seem as pigmented as the others. I'm not sure if I picked up a dud here as when I previously reviewed this shade in the new packaging, it was really, really pigmented. It might be worth checking out that post here for a better look. Another shade unlike anything I've had in my makeup drawers before, I couldn't resist picking up the colour Posh Peony. With a slight metallic shimmer running through it, this shade reminds me of one I've always lusted after from MAC, Show Orchid. Whilst it isn't quite up to MAC's standards in the quality stakes, I'm actually pretty impressed with the colour payoff. What do you think to the lipsticks I picked up? Not bad for 70p each, right? You can pick these lipsticks up at your local cheapy shop - Boyes, Home Bargains etc. or find them online at the links above.